There is only one size of these photos - the size you see. Clicking on a picture will not get you a larger version. 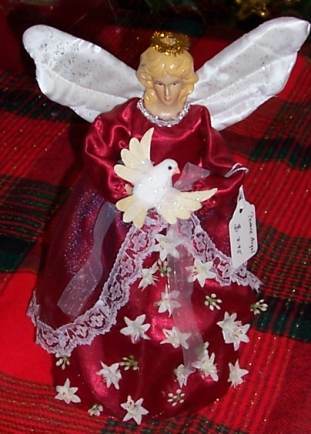 The real story of Silent Night has been compiled by Bill. 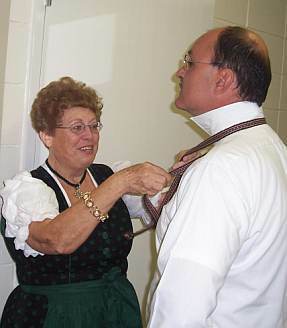 Is it a Salzburg dirndl? Oder? 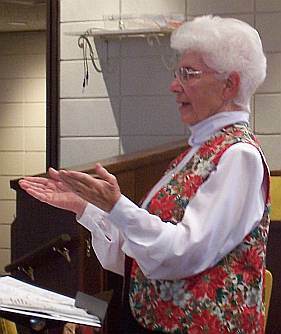 Sister Anne leads the choir in song. 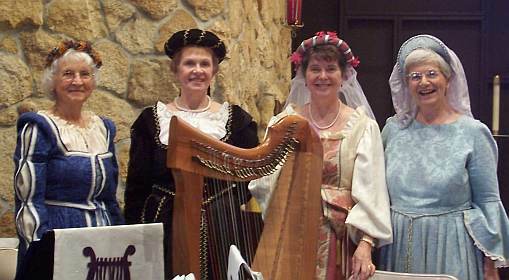 The St. Augustine Early Music Consort accompanies the Adventsingen every year. 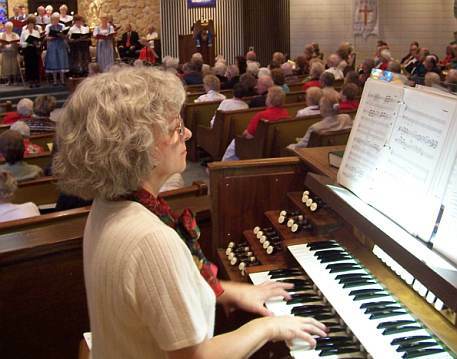 The organist, Amy, has perfect posture and hence owns her instrument - it must do her bidding. 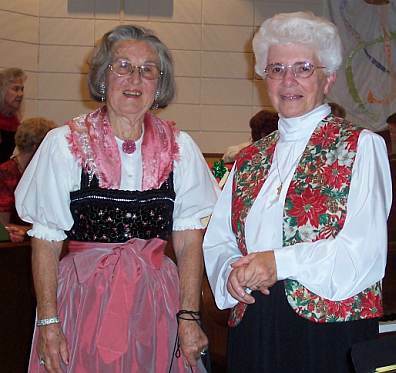 Choir, 3. I seem to be running out of clever captions. 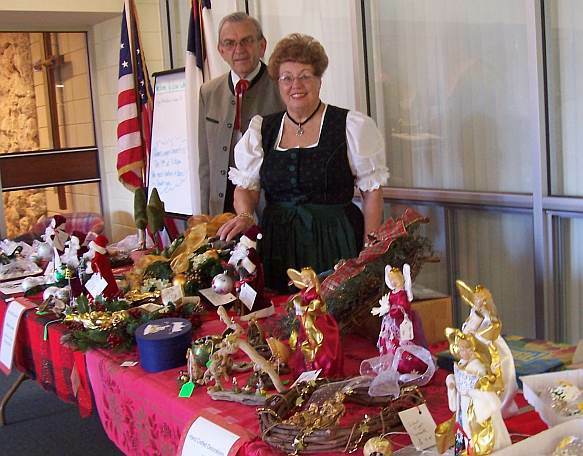 The table laden with Charlotte of Salzburg crafts, for the post-concert reception and sale. 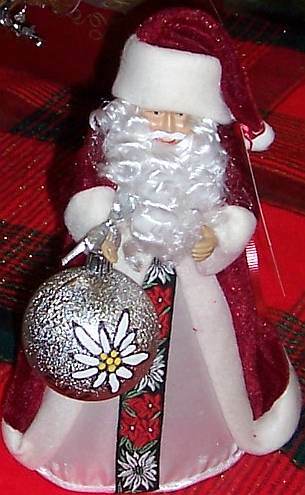 One such Santa, or St. Nicholas with Edelweiss, if you prefer. 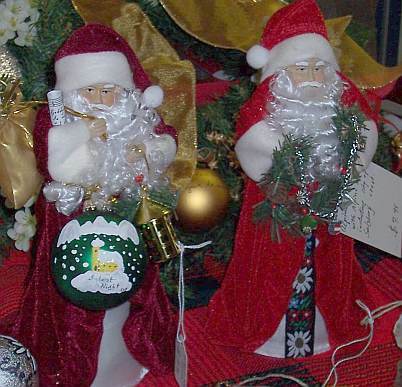 A pair of Santas waiting to go a new home.